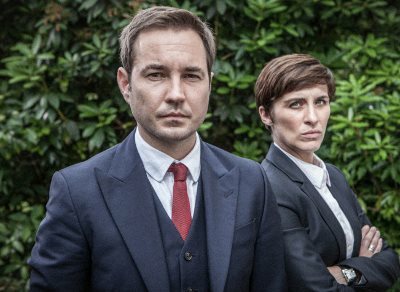 Scottish actor and former professional footballer Martin Compston is to play a serial killer for ITV. Compton, who plays DS Steve Arnott in the BBC's Line Of Duty, will take on the role of American-born Scottish serial killer Peter Manuel. Nicknamed "the Beast of Birkenshaw" by the media, Manuel was convicted of murdering seven people across Scotland between 1956 and 1958. Douglas Henshall, the star of BBC One’s Shetland, will play the police officer on the killer's trail. Filming of the three-part mini-series will begin soon in Scotland. Compston was a youth footballer, and after leaving school signed for local professional team Greenock Morton. He made two appearances for Morton at the end of the 2001–2002 season. As a first-time actor he then played the lead role in Ken Loach's Sweet Sixteen, and the film's success at Cannes gave him instant celebrity status in Scotland. He made regular appearances in the BBC series Monarch of the Glen and several more films including True North with Peter Mullan and Gary Lewis, before joining the Line of Duty cast.